TV DIVAGAL: Project Runway’s Ari South Dishes All! 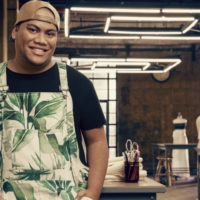 Project Runway: All Stars contestant Ari South was eliminated in the first round, but that hasn’t dampened her spirit. She talks fashion, her transition from male to female and how Project Runway changed her life to our TV contributor Thomas Davis. Ari, we were so sad to see you go during the first round of Project Runway: All Stars. Was it a shock for you? I was out of body at the moment. I didn’t believe until 24 hours after that. I don’t think anyone expects to go home first. Especially for the first challenge, none of us really knew where we were going to end up. It was definitely a shock for me. Looking back, do you think the judges were right in their critique? I was praying while they were deliberating as judges. There’s nothing really you could do accept make peace with whatever is going to happen. I was honestly asking if I were to be sent home to carry out whatever I had to do beyond that. I had to be strong and focus on what was happening and that it was meant to happen. I felt like I was floating and absorbing what was going on, and not about letting it get me down. What would you have done differently in your Punk design? You did get to meet Alyssa Milano! What was she like? She was a total sweetheart. It felt refreshing. She was the only one to come around and talk to us. It was small talk but it helped to make us feel a little bit more normal. She’s a mom and I don’t think people really associate her with the fashion world but I think that makes her real person. In her own way, she came in and made us all feel comfortable. If anything she was probably more nervous than we were. She’s been in the industry for so long, and her best advice was that you never know what’s going to happen next. You came back to the show as Ari South. How has making the transition from male to female changed your life? I’m a lot more at peace with myself, and I’m a lot more comfortable in my own skin. I think a lot of people who watched me on Season 8 were happy to see me back and as myself. It’s liberating and something I never dreamed of doing. It was never planned but happened in the order that it happened in. I’d say I’m very fortunate to be able to be in the place I am now. 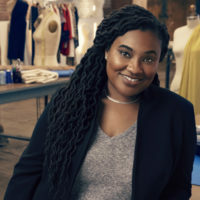 Did being on Project Runway the first time play a part in making the decision to live your life as a woman? It definitely led me to realize that something was missing. I knew my career would be fine, but it made me realize that this is what I needed to be happy. If you aren’t true to yourself, none of the successes would matter. You never know, maybe we’ll one day see a transgender actually come through the competition and win. Hopefully one day it won’t matter what a designer’s sexual orientation is, and it won’t matter if the designer is male, female, black, or white. [Laughs] No, I’m not. Being transgender is strange in some sense. A lot of the men who are after me aren’t after me for the right reasons. I think I’m associated with a sexual fetish and something that turns men on. I don’t get it. As far as men go, I’m so busy anyway that it would be way to hard to see anyone. For a guy to understand that, I don’t even know if that exists. The bottom line is that I’m so busy now, its too difficulty to build a relationship. And the right guy hasn’t come along. What’s the next step for you in your design career? Come this February I’m definitely going to be doing a fashion show every season. It may not be as big as I’d like it to be but I’m excited to do it again. I want to begin showcasing my fellow cast mates and help them up. If we can all be successful, then we can all be successful together. So that’s the next big goal. When will we be seeing your collection? I took almost a year off but Neiman Marcus recently picked me up again. And my website is shop.andysouth.com. We’re getting there. Who is your dream celebrity muse? My top three would have to be Oprah Winfrey, Angelina Jolie and Nicole Scherzinger. Their bodies really draw me in. Watching Angelina on Inside the Actors Studio, I saw what a beautiful person she was. But my dream celeb to dress is definitely Oprah. She inspires me most and I would love to dress her! What’s one item that every woman should have in her closet? I believe one dress that makes her feel completely amazing in. I have a few pieces in my wardrobe that make me feel like I own the runway. I think every woman should save up for that one piece of clothing that makes her feel beautiful. What will you take away from your most recent Project Runway experience? My ability to handle situations like that really stem from my understanding where my place is in this world. I’m the human I want to and desire to be. A lot of the peace that I have with it is that there’s a greater purpose for all of us. It was a huge honor to be asked back as an All Star. 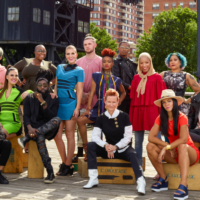 Catch Project Runway: All Stars, third round, Thursdays at 9 p.m. on Lifetime. Follow Thomas at @TheReal_TLD. TV DIVAGAL: Project Runway Season 10 – The Designers You Didn’t See!